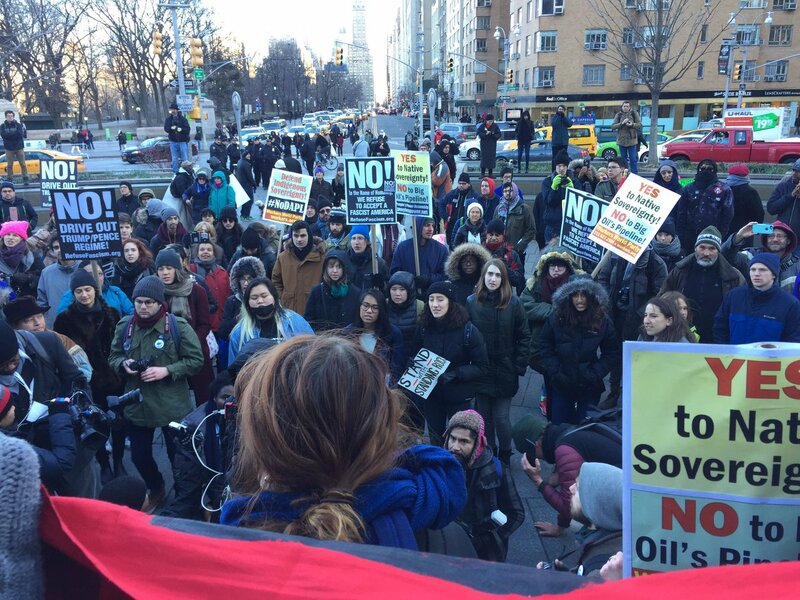 Demonstrations against Dakota Access Pipeline are taking place outside Trump Tower in New York City. 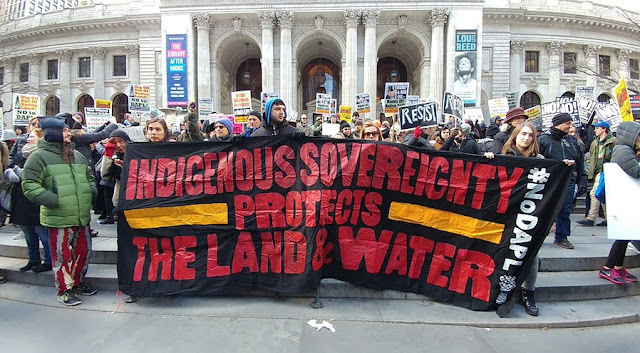 A protest against the Dakota Access Pipeline (DAPL) gathered outside the New York Public Library at 1pm on Saturday where activists made speeches and said prayers before marching to Trump Tower. The Standing Rock Sioux tribe have long rallied against the multi-billion dollar pipeline. The project was shelved during the Obama administration, but restarted after President Trump signed an executive order to fast track it shortly after he took office. The marchers were escorted by a heavy police presence as it made its way through the streets of New York. The anti-DAPL activists chanted "Water is life" and "this is what democracy looks like" outside the president's landmark building. 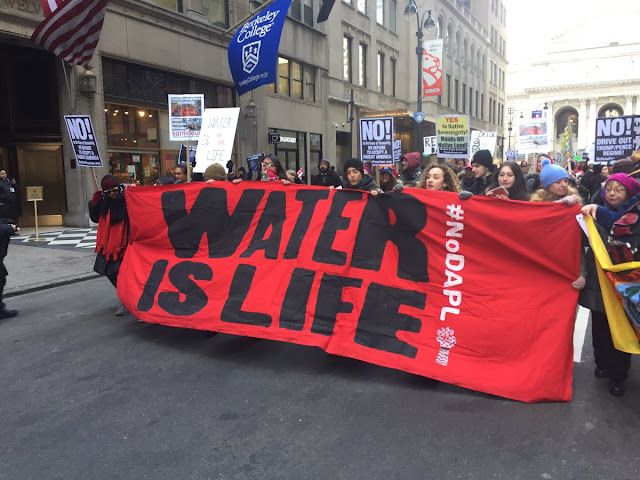 The DAPL is designed to transport oil from northwest North Dakota to Illinois, passing through the states of South Dakota and Iowa. The Standing Rock Sioux Tribe in North Dakota say the project passes through sacred Native American land and threatens their primary source of drinking water. A “Rise with Standing Rock” march on Washington to also protest the DAPL is scheduled to take place on Friday, March 10. 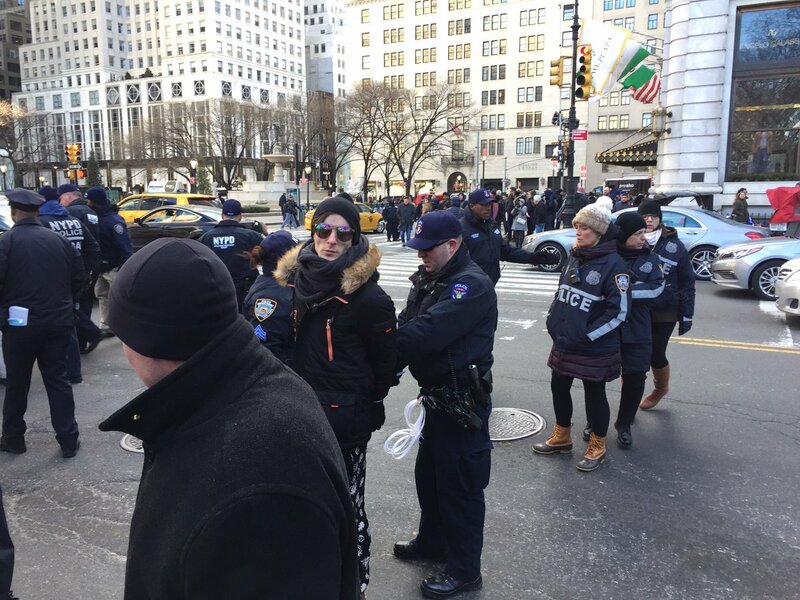 The event has been widely publicized on social media gaining thousands of shares. 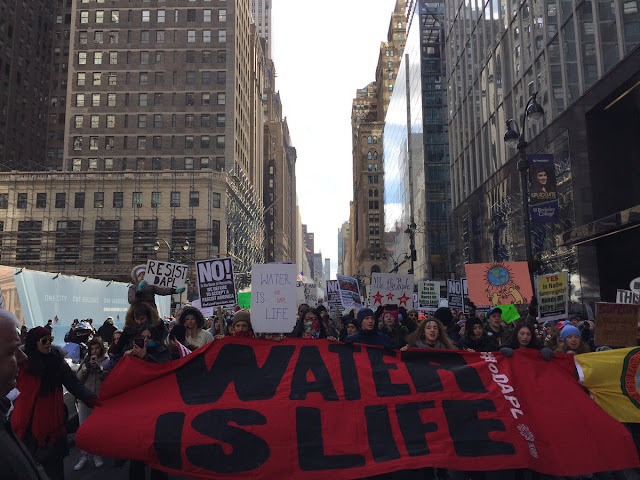 Responses to "Thousands take to the streets of New York City for Water Rights and Standing Rock"